ZNAQ is starting the Official Bounty Program. Token Pre-Sale date: May 14, 2018 – June 14, 2018 . Our Bounty Campaign starts on May 7, 2018, and will last until the end of the Token Pre-Sale. ZNAQ offers 5% from the Token Pre-Sale for bounty campaign. The bounty campaign will last until the end of the Token Pre-Sale. In order, to receive the bonus, you must participate until the end of the campaign. If you didn’t follow our terms and were excluded from the campaign once, we won’t accept your application again. ZNAQ reserves the right to make amendments to the bounty program at any time. Please contact us on bounty@znaq.org if you have any questions. Make a post in the Bounty Thread with your report. Update your post with report every week. 5. Community Campaign ( Facebook, Instagram, Twitter). Join our Telegram Bounty Group. Also participate in our Referral Program. Information about Referral Program can be found here. Earn Tokens as a Reward for liking the ZNAQ Facebook Page, sharing the Official Announcements and make posts about the ZNAQ. If you are an owner of popular Facebook group - choose an option “Community Campaign”. 7% of Total Bounty Pool will be allocated to Facebook. 1: Like our Facebook Page. 1: Have at least 300 friends on Facebook. 2: Your Facebook account must not be fake, inactive or a bot account. Only original Facebook accounts will be accepted. 3: You must be an active and regular Facebook user, and must be sharing and liking ZNAQ official posts and updates at least 1 ZNAQ post every week. 4: Account must be open as a Public Profile and all Posts shared need to be public as well. 5: Multiple accounts are not allowed. Those, found using such multi accounts will be disqualified and blacklisted. 6: You must follow ZNAQ Facebook official page until the end of the Token Pre-Sale. 7: Share and like news marked with #ZNAQ from our official page and don’t delete them until the Token Pre-Sale ends. 8: Terms and Conditions are subject to change if necessary. Earn Tokens as a Reward for Retweeting ZNAQ Official Announcements. If you are an owner of popular Twitter group - choose an option “Community Campaign”. 7% of Total Bounty Pool will be allocated to Twitter. 1: Follow official ZNAQ page in Twitter. 2: Like and retweet at least 2 ZNAQ tweets every week. 3: Register in Twitter Campaign. 1. Only One Twitter account per person is allowed. 2. You must follow ZNAQ twitter official account until the end of Token Pre-Sale. 3. Your Twitter account should be older than 3 months. 4. Have at least 300 followers on Twitter. 5. 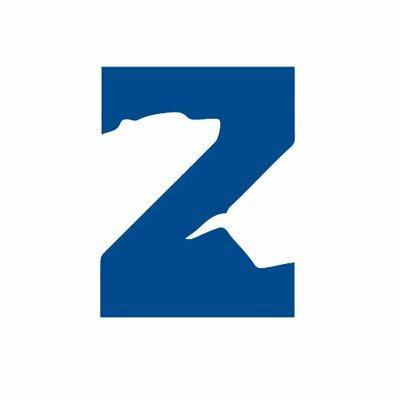 Must make 2 retweets about ZNAQ per week. 6. Don’t retweet everything in 1 day. 7. Retweet news marked with #ZNAQ from our official account and don’t delete them until the Token Pre-Sale ends. Earn Tokens as a Reward for writing high-quality Reviews or Articles about ZNAQ that include information about the ZNAQ Token Pre-Sale. If you are a journalist - choose an option “Media Campaign”. 7% of Total Bounty Pool will be allocated for Blogging Campaign. Keeping the article on your resource will reward you with an extra 20% of the stake amount each week. In case, your website doesn’t show the number of followers, please contact us bounty@znaq.org and we will find the way to calculate your reward value. All stakes for blogging campaign will be calculated at the end of the Token Pre-Sale stage. 1: Write your Article, Review (you can copy our articles from our Medium). 2: Before release contact us bounty@znaq.org with the information that you want to expose and a link where you want to share it. 3: Only once we confirmed your material register in Blogging Campaign. 2: Only pre-reviewed articles will be considered. 3: Your review or article should be original. You can use Official Images, Artworks and other Content posted on the Website (also you can copy our articles from our Medium). 4: Low Quality Articles will not be Accepted. 5: Article/review should exceed 300 characters. 7: Medium, Steemit, Newbium, and other general/free blogging platforms submissions will be accepted, but only one per User. 8: Every article should be saved until the end of Token Pre-Sale. 9: No more than one article per week to be posted. 10: For each new article you have to complete the application process from the beginning. Earn Tokens as a Reward for creating high-quality Videos about ZNAQ that include information about the ZNAQ Token Pre-Sale. 7% of Total Bounty Pool will be allocated for Vlogging Bounty Campaign. Keeping the a video on your resource will reward you with an extra 20% of the stake amount each week. All stakes for vlogging campaign will be calculated at the end of the Token Pre-Sale stage. 3: Only once we confirmed your material register in Vlogging Campaign. 2: Only pre-reviewed videos will be considered. 3: Your video should be original. You can use Official Images, Artworks and other Content posted on the Website. 4: Low Quality Videos will not be Accepted. 5: All video views should be real. 6: Videos should be more than 1:30 minutes long. 8: Every video shall not be deleted until the end of Token Pre-Sale. 9: No more than one video per week to be posted. 10: For each new video you have to complete the application process from the beginning. Earn Tokens as a Reward for making posts regarding ZNAQ. 10% of total Bounty Pool will be reserved for Reddit. 1: Your account should be at least 20 days old and have 10 posts or comment karma. 2: Subscribe to official subreddit. 3. Make a post about ZNAQ Token Pre-Sale in the crypto related subreddits (not in ZNAQ subreddit). 2: Spam is not allowed, and spammers will be excluded from the campaign. 3: For a post to be counted, it needs to be posted in the crypto related subreddits (not in ZNAQ subreddit). 4: Post with negative Karma will not be accepted. 5: Bonus stakes will be awarded when your post have at least 10 upvotes. Earn Tokens as a Reward for following ZNAQ Instagram Page. If you are an owner of popular Instagram group - choose an option “Community Campaign”. 7% of Total Bounty Pool will be allocated to Instagram. 1: Follow our Instagram Page. 1: You must have a minimum of 200 Followers. 2: Your Instagram account must not be fake, inactive or a bot account. 3: Like at least 3 posts a week. 4: You must follow ZNAQ account until the end of Token Pre-Sale. 5: Account must be open as a Public Profile. 6: Multiple accounts are not allowed. 7: Terms and Conditions are subject to change if necessary. Earn Tokens as a Reward for joining the ZNAQ Telegram Group and Channel so you can always find out the latest announcements. If you are an owner of popular Telegram channel - choose an option “Community Campaign”. 7% of total Bounty Pool will be allocated to Telegram. The most active users that make informative posts will get a 2 stakes bonus. 1: Join our Telegram Channel and Group. 1: You must register a real account. 2: Be active at least three times a week. 3: You must stay in the group and channel at least until the end of the Token Pre-Sale. 4: A reward of 2 stakes bonus is a subject to ZNAQ team decision. 5: Fill the Form above with your telegram username and BitcoinTalk username, submissions will be manually verified. Earn Tokens as a Reward for following ZNAQ LinkedIn Page and sharing ZNAQ Official Announcements. 7% of Total Bounty Pool will be allocated to LinkedIn. 1: Follow our LinkedIn Page. 2: Make a post about the ZNAQ Token Pre-Sale and include one Link of the Website https://znaq.org (you can copy information for the post from our group). 3: Fill this Form: Form. 1: You must have a minimum of 250 Connections. 2: Only original LinkedIn accounts will be accepted. 3: Account must be open as a Public Profile and all Posts shared need to be public as well. 4: You must be an active and regular LinkedIn user, and must be sharing and liking ZNAQ official posts and updates once a week. 5: Multiple accounts are not allowed. 6: Terms and Conditions are subject to change if necessary. Earn Tokens as a Reward for posting information about ZNAQ in your group, account or channel. 12% of Total Bounty Pool will be allocated to Community Campaign. 1: If you are the owner of a popular group in Facebook, Instagram, Twitter or Telegram channel in cryptocurrency or other area. 1: Make 2 posts about ZNAQ in one week, but not in one day (you can copy information from our posts). 2: In Facebook, only those groups are accepted where only the group page can publish posts. 3: In Telegram only channels are accepted. 4: In Twitter we consider - company, community, group account. Not personal account. 5: In Instagram we consider - company, community, group account. Not personal account. 6: Posts will be manually verified. Join our Media Campaign to publish an article in the media about ZNAQ. 12% of Total Bounty Pool will be allocated to Media. 3: Only when we confirmed your material register in Media Campaign. 3: Your article should be original. 6: Article should exceed 500 characters. 7: You can write an article about ZNAQ in Forbes, Coindesk, Bitcoinist, or in any other media relevant to finance and cryptocurrency. 9: If you are a private user, please refer to Blogging and Vlogging Campaigns. Earn Tokens as a reward for translating Token Pre-Sale Announcement Thread, Bounty Announcement Thread, WhitePaper and thread moderation. When reserving the language, please specify which type of content you will translate. Languages: Arabic, Indonesian, Spanish, Chinese, Croatian, German, Greek, Hebrew, French, Italian, Japanese, Hindi, Dutch, Korean, Polish, Portuguese, Russian, Romanian, Turkish, Scandinavian, Filipino. To check the language availability for translation and content type, please click here. 5% of Total Pool Will be Paid for Translation Campaign. 1: Applicant must fill in the application form for Translation Campaign. We will contact the preferred translator via PM on Bitcoin Talk or by Email (please, wait for our decision and confirmation). Application Form. 2: When we confirm you as a translator and you finish the translation, please fill in the registration form. 1: If you are confirmed for translating multiple content types, please fill in the registration form again for each content type. 2: For each language translation, only one person is chosen. 3: We will accept only high-quality translations. If you use copy-paste method with tools such as google translate, automatic translators and so on, your submission will be rejected and blacklisted. 3: We will pick the translator for each language from all submissions and reserve the right to re-assign the task if the translation provided will not meet quality expectations. 4: Provide the translation within 3 days from receiving the conformation. 5: If you failed to keep the thread active and up to date, your reward can be reduced to 50% of the actual payment or you could simply be disqualified. Join our Signature Campaign to spread the word about ZNAQ on BitcoinTalk. 12% of Total Bounty Pool Will be Paid for Signature Campaign Participants. You will receive 5 additional stakes every week for wearing ZNAQ Avatar and 3 additional stakes every week for wearing Personal Text. 1: Add Signature to your Forum Profile. 2: Submit the form with your member rank and necessary info: Form. 1: The Signature should be kept until the end of the Token Pre-Sale. 2: During this period, you must make a minimum of 10 Posts/Week in order to be considered eligible. 3: Only Posts that are useful and informative will be eligible towards the 10 Post/Week goal. Posts that are off-topic, or simply made for the intention of raising post count will be excluded. 4: A post must have a minimum length of 75 Characters. 5: Be at least Jr. Member or have higher rank. 6: Keep your signature on until the Spreadsheet is updated with your final post count, for at least one more week, removing it before the post count – you are taking the risk to be excluded from the Bounty Campaign. First crypto index traded as token!